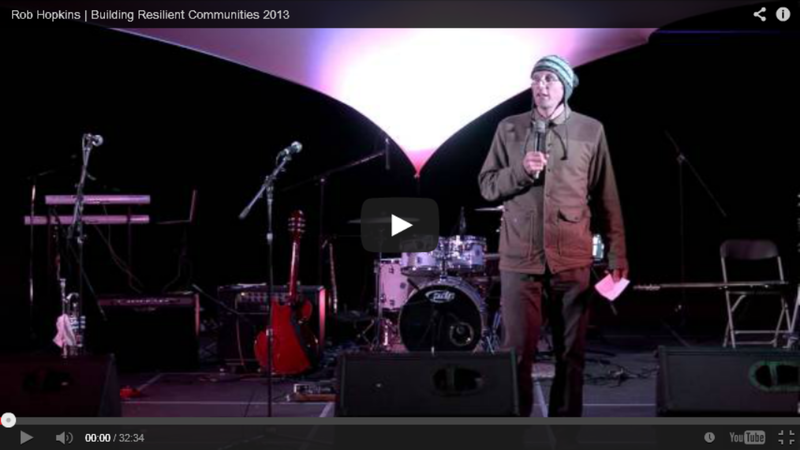 Watch the video of Rob Hopkins' keynote at the Northern Building Resilient Communities Convergence. "This is an historic opportunity to rethink the way we do things." We are on the lookout for volunteer interns to work remotely or in our Sebastopol office 10-20 hours per week during the spring semester. Contact marissa@transitionus.org for more information. This month's newsletter is packed with tools and opportunities to scale up and build capacity in Transition. Read on for project ideas, funding and outreach strategies, and more! 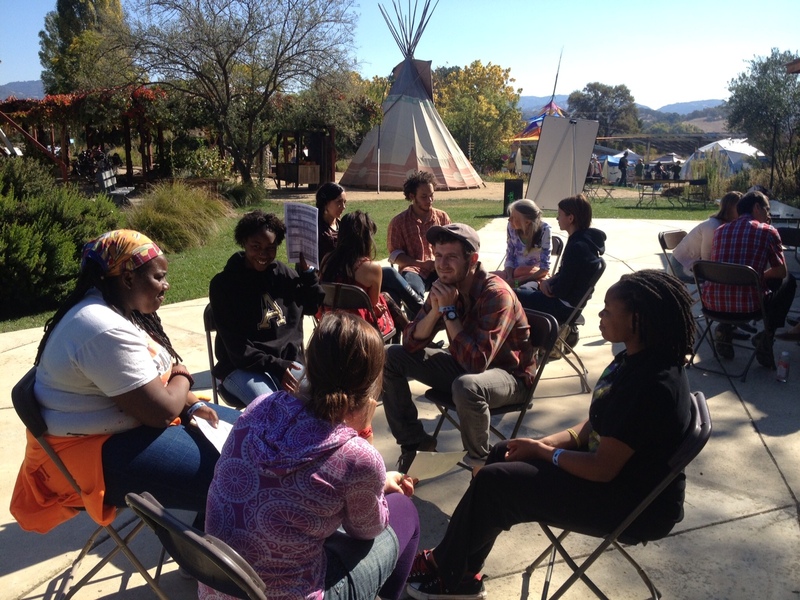 This month at Transition Culture, Rob Hopkins has been profiling strategies for scaling up Transition, including discussing Transition with new audiences, organizing at the regional level, working with local government, and more. 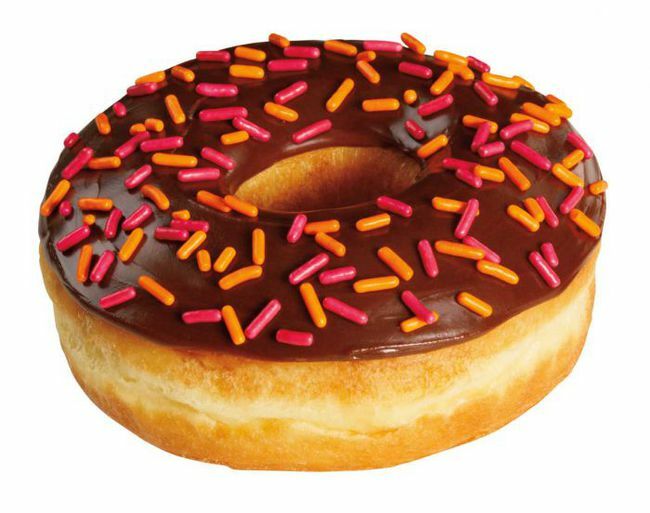 To get started, check out Rob's piece on 5 factors that will enable Transition to scale up (hint - avoiding the "doughnut effect" is key), and read below on how Transition Laguna Beach is engaging surprising new audiences. 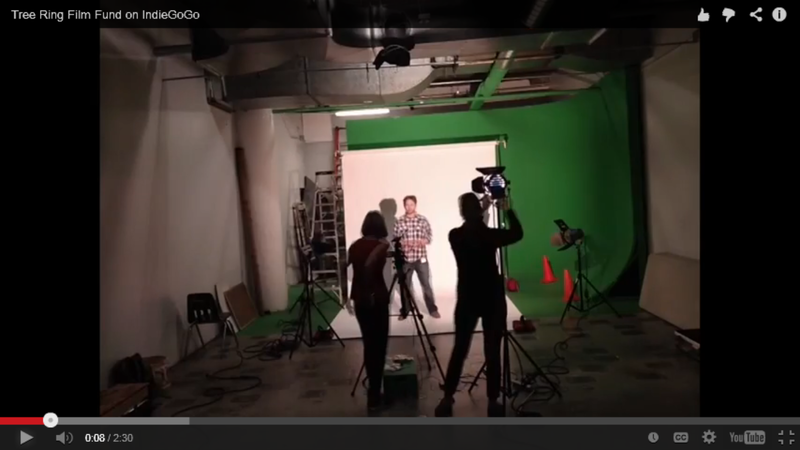 Transition US is part of a unique crowdfunding campaign organized by Transition Trainer Beverly Markiewicz and Tree Ring Productions. Read more about the campaign's paradigm-shifting approach, and please consider supporting the campaign or helping spread the word! From adding new team members to rolling out advanced leadership trainings and hosting Rob Hopkins' whirlwind US tour, 2013 was a big year for Transition US. 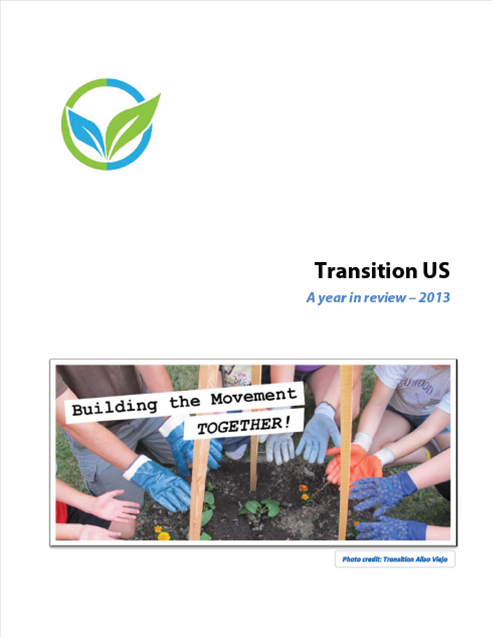 Read more in our 2013 Year in Review, and learn more about the directions Transition US will take in 2014. Welcome to the 147th Official Transition Initiative: Transition Aromas, California! 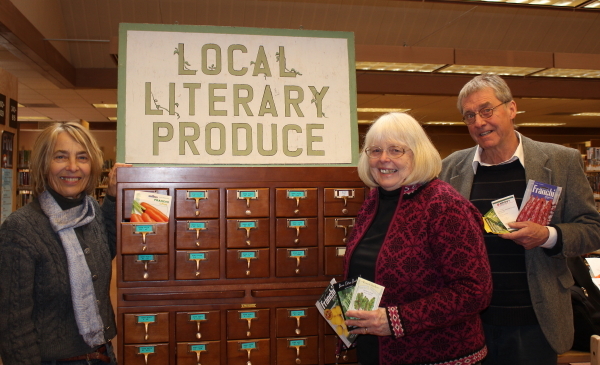 Transition Healdsburg Launches Seed Library. Housed in an old card catalog, a curated seed collection is available free to the public at the Healdsburg, CA public library. Read more here. Want to start your own seed library? Check out this webinar from Center for a New American Dream on how to get started! Transition Laguna Beach, CA on How to Discuss Transition with Conservative/Republicans. 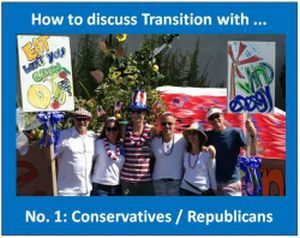 From finding common ground to entering a red, white, & blue organic float in the holiday parade, Transition Laguna Beach is successfully reaching out to conservative allies. 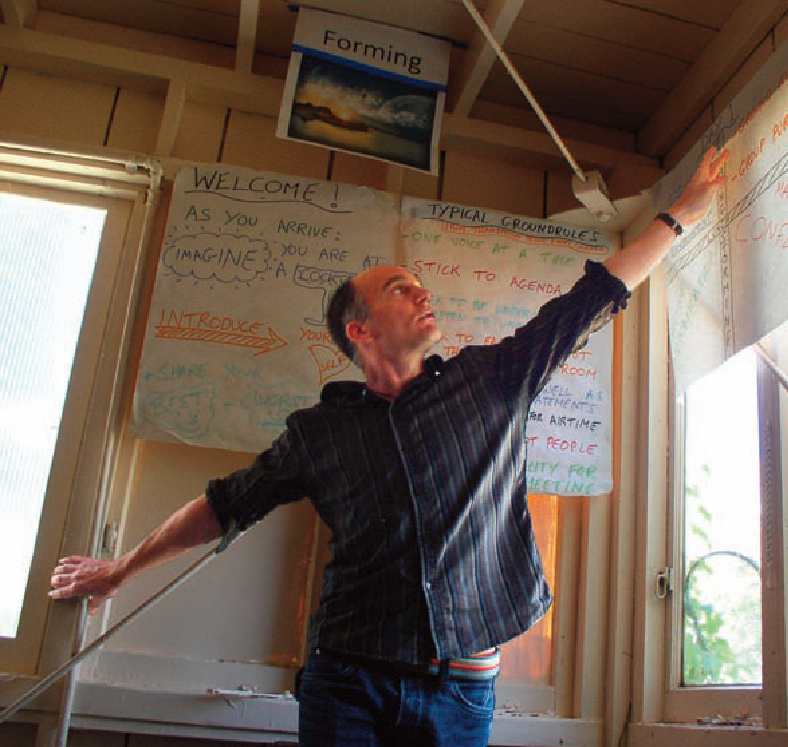 Read more in this great interview with Chris Prelitz of Transition Laguna Beach, part of Rob Hopkins' series on Scaling Up Transition. Introducing Transition Howard County, MD. 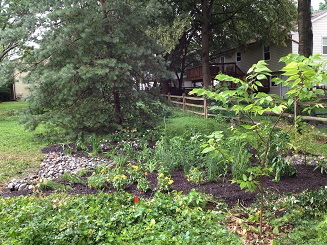 In the two years since getting started, Transition Howard County has been busy - building rain gardens, timebanking, fighting to stop a LNG processing plant in their community, and much more. Read more about Maryland's first Transition Town. Let's look at creative ways of building our network funding capacity; locally, regionally, and nationally. Imagine linking up with other Transition Initiatives that have a similar area of interest, like creating a robust local food system. We work together to develop a regional or even national proposals that might interest new funders. Or, we focus geographically and pull together proposals that address the resilience needs of a region, of a state, or of a cluster of states. Our collective social capital can be leveraged to boost our impacts. If you're ready to explore taking this kind of leap, please join us. Look at how financial capital has been transformed from a tool fostering economic growth to a self-perpetuating pool growing through trading activities progressively divorced from productive economic activities. Talk about the importance of divesting form the old economy and the emergence of four powerful trends that will transform the world of investing. Look at ways communities at the forefront of this transformation are democratizing and relocalizing investments and building a world that is more equitable and sustainable. Join us to learn about the model of Transition Milwaukee's successful Power Down Week, now in its 4th year, a weeklong event to raise awareness of energy consumption and promote powered-down alternatives. Hear the story of how ideas got put in to motion, the challenges, growth and future vision for powering down Milwaukee. 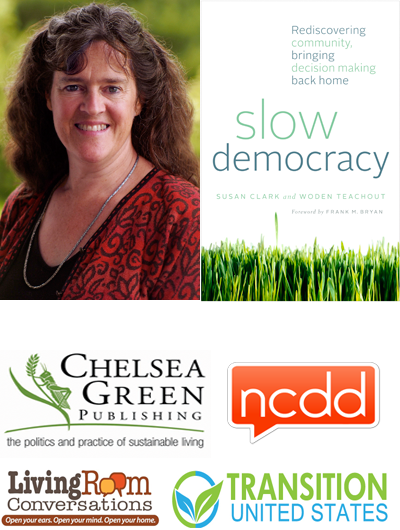 Join us to learn, get ideas on how to take Power Down week to your own community, and power down together!